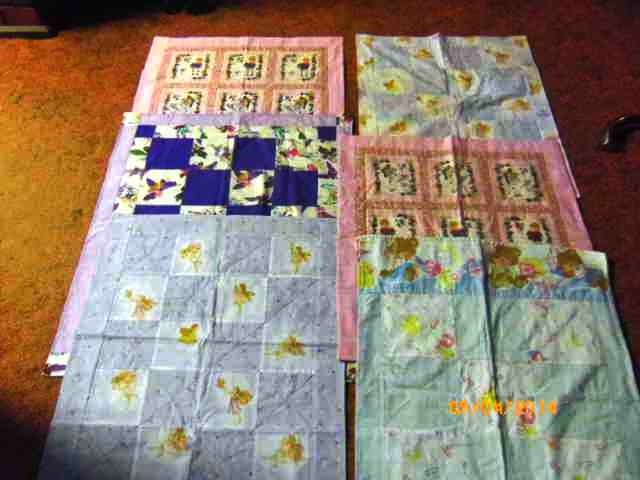 This year I've received a few emails from ladies who have offered to make quilts for the PNG babies, and Lorraine Squires in NSW sent 12 from her group of quilters who meet every Monday. I took some photos but they didn't turn out well enough to post here, so I will try again later this week. 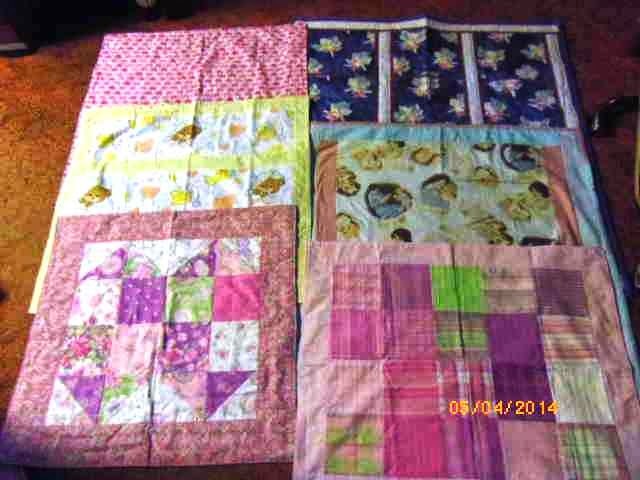 In the meantime, many thanks to Lorraine and her quilting friends - this is their second lot of donations! They are very kind. Edited a week later to include photos of the 12. Only two or three are quilted, the rest are bunny rugs, which are just as acceptable to the PNG mothers, as they are perfect for the newborns.